In my last post, I mentioned that the question of the compatibility of mandatory retirement ages with EU law was pending before the European Court of Justice (ECJ). 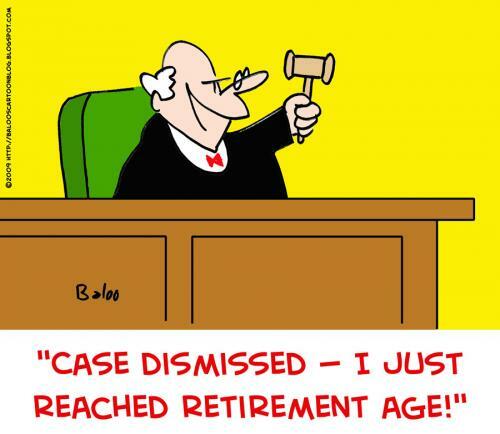 The Court has now handed down its decision, upholding the principle of mandatory retirement ages, but requiring them to be justified on a high standard of proof. The ECJ held that mandatory retirement provisions do not, per se, infringe the Directive; but the Court did emphasise that the provisions had to be justified on the basis of high standard of proof. As a consequence, the matter will now return to the UK courts, to determine whether the Regulations can in fact be justified. The Department of Justice, Equality and Law Reform is of the view that Irish law is already in compliance with the Directive. Presumably, this is a reference to the Employment Equality Act, 1998 (also here) and the Equal Status Act, 2000 (also here). Section 6(2)(f) of the 1998 Act and section 3(2)(f) of the 2000 Act prohibit discrimination on the grounds of age; in particular, section 34 of the 1998 Act allows for different compulsory retirement ages. I suspect, therefore, that the outcome of the Age Concern case will be examined with interest by the Department of Justice not only in London but also in Dublin. Times Online: Hopes dashed as judges support compulsory retirement at 65; European judges order ministers to justify retirement age of 65.